As CENESTA has a long history of work with indigenous mobile pastoralists throughout the country and beyond, it was invited to share its experiences and to highlight rangeland landscapes conservation in the Global Landscapes Forum. The rangelands are at the heart of challenges to indigenous mobile pastoralists, and need special attention, in particular in terms of their socio-economic and ecological impacts. 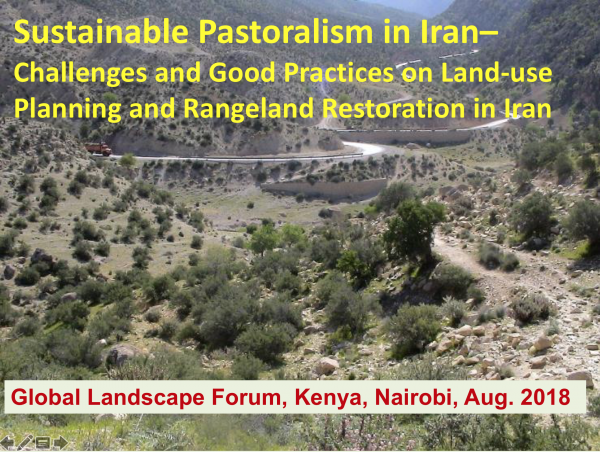 The presentation shows the process of CENESTA’s joint actions with indigenous mobile pastoralists in Iran, showing good practices and rangeland restoration of different scales, brought about by building alliances with other stakeholders.